Electric Coastline: Broods, Kings & Theia on tour! Prepare yourself for a summer tour like no other. Three of New Zealand’s most exciting acts – Broods, Kings and Theia - back-to-back, and coming to a holiday town near you. Presented by ZM, Electric Coastline will be headlined by the chart-topping, award-winning duo Broods, with support from breakthrough sensation Kings and emerging glitter-pop darling Theia. Making its debut in December and January, the touring mini festival stops off in four popular hot spots along New Zealand’s magical coastline. And with electrifying live sets from three of the country’s hottest acts right now, Electric Coastline promises to be the party you just cannot miss this summer. It kicks off at Cooks Reserve, Riwaka, near Nelson on December 26, before heading north to the Mangawhai Tavern on January 3, and making its way down toCoroglen Tavern near Whitianga on January 4 and ending at ASB Bay Park Arenain Mount Maunganui on January 5. 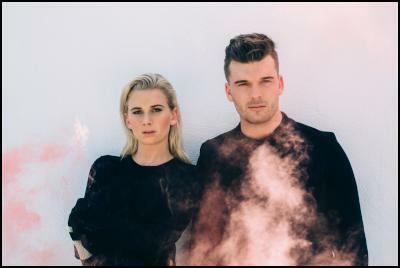 Broods will return from their base in LA for the four-date tour, which rounds off a triumphant year for siblings Georgia and Caleb Nott, who hail from Nelson. They’ve enjoyed phenomenal success with their sophomore album CONSCIOUS, wowed with a killer performance on the Late Late Show With James Corden and sold out tours across New Zealand, Australia and the US. They also received an impressive five nominations in the upcoming 2016 Vodafone New Zealand Music Awards, including ‘Album of the Year’, ‘Best Group’ and ‘Single of the Year’ with their smash hit ‘Free’ produced by Joel Little. Meanwhile Broods’ latest single ‘Heartlines’, co-written with Lorde, is still sitting firmly in the charts. After making a mark in 2015 with his Dan Aux collab ‘Sippin’ Yak’, Kings went on to take the nation by storm with his infectious Gold tune 'Don't Worry Bout It', which this year spent 14 weeks at #1 in the local charts. Auckland-based Kings also gets two nods at this year’s VNZMA, with nominations for ‘Single of the Year’ and ‘Breakthrough Artist of the Year’. 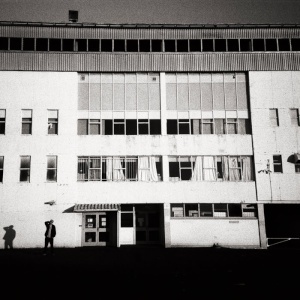 Kings’ self-titled debut EP is due out on November 25, includes the new single, ‘What We Supposed To Do’. Completing the all-star line-up is one of this country’s newest emerging talents,Theia. The Christchurch singer-songwriter made her debut in 2015 with the electro-pop-meets-sultry-R’n’B track ‘Silver Second’, which caught the attention of US tastemaker music blogs Hillydilly and Pigeons & Planes. Theia is now riding high on the success of her summer anthem ‘Roam’, which clocked more than 1 million plays on Spotify in just six weeks and saw her enter the Global Viral Chart, the US Viral Chart, the Australian Viral Chart and top the NZ Viral Chart. Tickets for the Electric Coastline shows are on sale Thursday October 27 at 12pm from www.ticketmaster.co.nz and the venues (except Riwaka – no venue sales). Find more from Electric Coastline on InfoPages.